Auburn was established in 1892 and got its name from the special red clay that was used to dye cloth auburn-red. We love our history and small town atmosphere and work hard to maintain this feeling while growing our businesses. Auburn is uniquely sited in both Gwinnett and Barrow Counties and is easily accessible by Highways 316, 324, 211, and 29/8. Easy access to major travel arteries to both Atlanta and Athens makes Auburn the perfect place to live, work and enjoy life. Auburn has planned green spaces with a great mix of residential homes, town houses, apartments, and both commercial and industrial complexes. With festivals and events throughout the year, Auburn’s family-friendly atmosphere and sense of community are rare in today’s impersonal world. 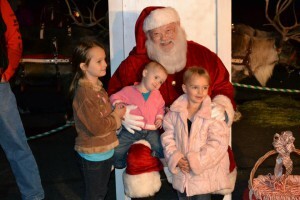 From our weekly Farmer’s Markets and monthly Movies in Whistlestop Park to our Independence Day and Sounding off the Christmas Season Celebration, there is something going on all year long that your family can enjoy. Our Parks and Recreation system offers outdoor enjoyment and recreation year round. Auburn has five beautiful parks for your enjoyment. James Shackelford Memorial Park is a green-space park with walking trails, camping, pavilions, and the beauty of the Apalachee River. Here you can have a picnic in the natural surroundings and enjoy the peace that comes with being outdoors. The Roy E. Parks Children’s Playground is a gem situated in downtown Auburn next to the Auburn Public Library. With picnic tables, lots of shade and state of the art equipment, your little ones will enjoy playing while you relax in comfort. R.H. Burel Park and Whistlestop Park, located on 4th Avenue next to City Hall, offer the historic Train Caboose, checkers and a gazebo. This area is used for our festivals, movies and concerts. The new Bicycle Trail Head includes parking for bicycles with plans for a fountain, seating and a welcome center with restrooms. The Parks Family Sports Complex, currently in the expansion stage, offers organized ball in partnership with Auburn Dixie Youth and will soon offer volley ball, soccer and tennis. Parks Mill Ball Fields are also in the expansion stage with our new Pony League ball games. 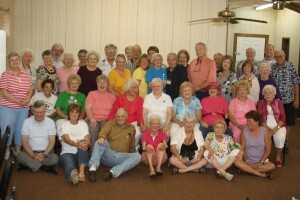 The Auburn OWLS (Older Wiser Laughing Seniors) give our age 55 and better friends a monthly luncheon as well as special trips and events. Throw in the beautiful Auburn Public Library, Auburn Museum, and future Barrow County Veteran’s Memorial and you find that Auburn is a wondrous place for all. We have developed a Downtown Overlay District, a Downtown Development Authority and are now a certified Main Street Community. These efforts will further capture the beauty and feel of a small town while allowing for planned growth in the heart of Auburn. Our City welcomes new businesses and offers tax credits for new businesses coming into the community through an Opportunity Zone. Our City Planner and Main Street Director stand ready to help you take full advantage of the benefits in becoming an Auburn business. Still Not Sure If Auburn Is For You?